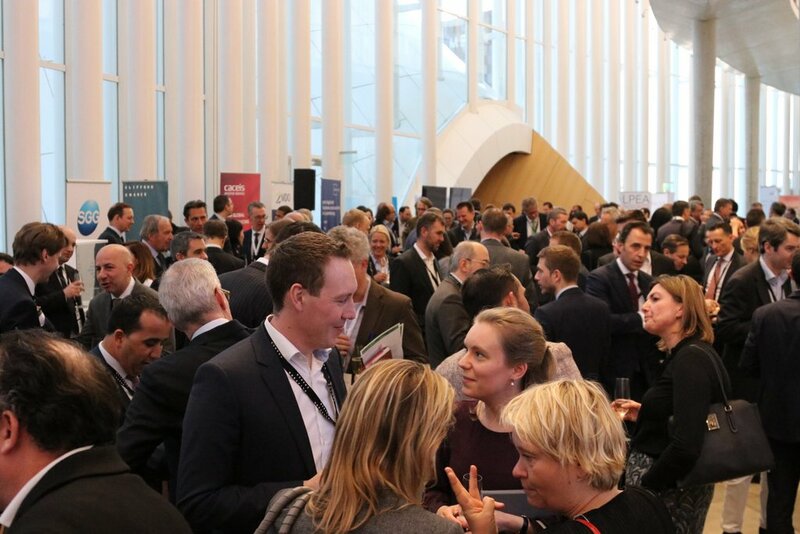 On March 19th, 2019 the LPEA welcomed its members to the third edition of the LPEA insights conference at the Chamber Music Hall in the Philharmonie Luxembourg. Private Equity 3.0 and its current and future position in the economy as well as the emerging awareness of sustainability and impact investing were the focus of this year’s conference. 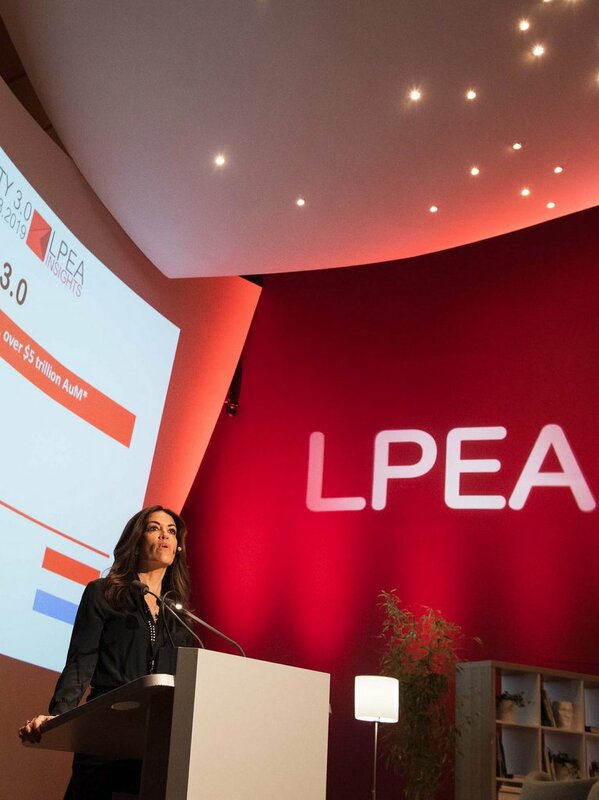 Paul Junck, managing director of LPEA, and Rajaa Mekouar-Schneider, president of LPEA, welcomed the participants on behalf of the entire executive committee by providing a brief overview of the booming industry in Luxembourg and the herewith connected evolution of the LPEA. Growing since its inception, the association now numbers around 200 members, including the most renowned private equity investors and family offices of Luxembourg. Before the president of the LPEA commenced her introduction on Private Equity 3.0, Paul Junck, Managing Director of LPEA since its inception in 2010, was honoured on stage by Hans Jürgen Schmitz (Mangrove Capital Partners) and Jerome Wittamer (Expon Capital) – both former presidents of LPEA, for his relentless contribution to the ecosystem of Luxembourg and continuous support of the LPEA since his retirement later this year was announced. Continuing with the initial programme, Rajaa Merkouar-Schneider highlighted that, with global players entering the market and venture capital also becoming a source of performance, volumes and returns in private equity grew drastically over the last number of years, introducing the market to a 3.0 version on a global scale. Looking forward, ESG is, next to digitalization, a significant trend to be taken into consideration in the future. 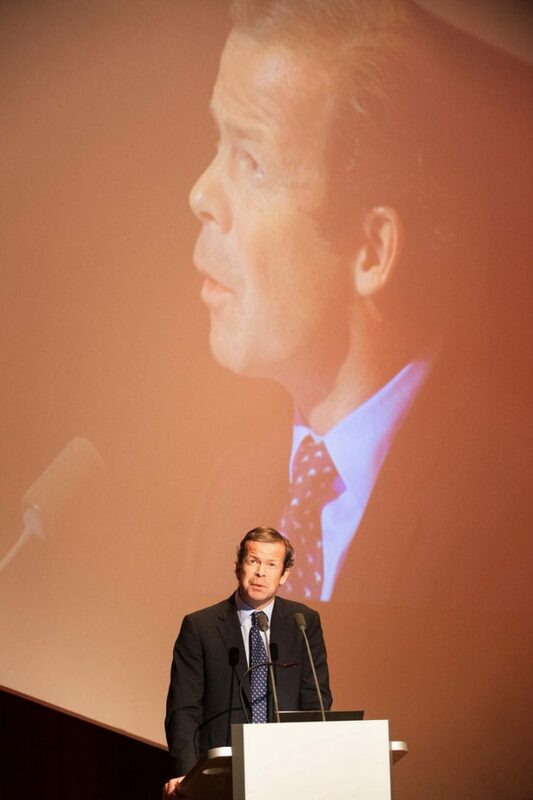 Prince Max von und zu Liechtenstein, CEO of LGT, the world’s largest Private Banking and Asset Management Group, stated that due to the increasing awareness of social and environmental issues as well as the corresponding regulatory changes, sustainability will become an inevitable value factor for companies and investors. Alongside TPG, KKR and other market players, LGT has also adopted an impact investing strategy with an invested volume of EUR 200m so far. Despite the hype, Prince Max stressed that impact investing alone will not solve environmental and social challenges, however it should be considered to be a profitable initiative. Panel debate: Paradigm shift towards sustainability – the new norm? Panellists: Cornelia Gomez, head of ESG and Sustainability at PAI Partners; Nino Tronchetti Provera, managing partner and founder at Ambienta; Bernhard Eikenberg, fund manager at Bamboo Capital Partners; and Dr. Serge Younes, head of sustainability at SVP Investindustrial. Prince Max, moderator of the first panel discussion, invited the panellists to introduce themselves, their business models and how they create value in terms of impact investing and sustainability. Cornelia Gomez acts as a key intermediary between the investors, deal teams and portfolio companies of PAI, a European private equity firm, aiming to implement ESG parameters in portfolio companies and create value. She explained that especially in traditional investment firms, without an incorporated sustainability methodology, impact investing could only succeed if approached pragmatically and fitting with the firm’s investment strategy. In order to integrate sustainability factors into the DNA of a portfolio company, she is trying to use momentum usually triggered on specific events, such as an IPO. 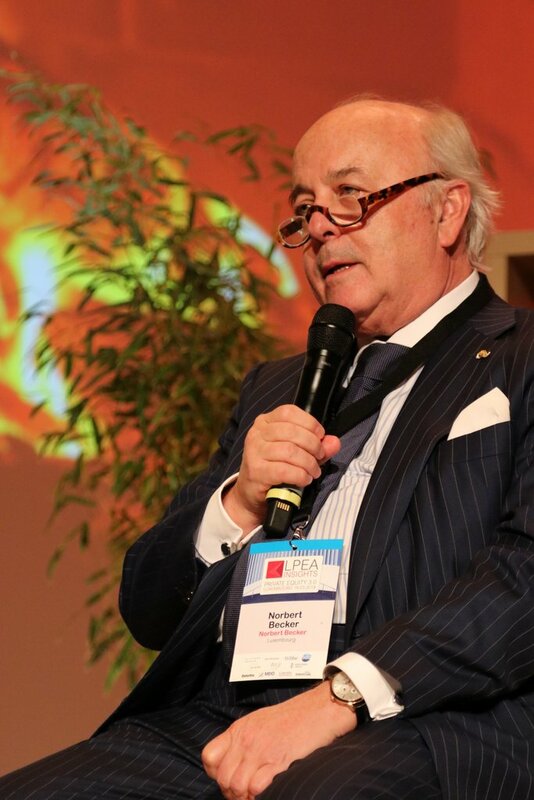 Nino Tronchetti Provera is the founder and managing partner of Ambienta, a leading private equity firm focusing on environmental growth and buyout investments. Since its foundation in 2007 Ambienta has EUR 1.2 billion of AuM. Nino Tronchetti Provera explained that impact investing can lead to high returns as long as the classical measurement tools for VC/PE investing are applied. The aim should moreover be to include KPI for sustainability during decision-making, rather than to look for so called “green companies”. Bamboo Capital Partners is a private equity firm with a focus on impact investing. The firm has so far approx. USD 290m AuM and manages, amongst others, funds for the United Nations, from the EU commission and the government of Luxembourg. Bernhard Eikenberg, fund manager at Bamboo, sees three major trends that will accelerate impact investing in the future: the increasing interest in sustainability of asset owners, the technological development and the increasing interest and actions of policy makers and governments to integrate ESG. Before joining Investindustrial in 2018, Dr. Younes was an adviser for sustainability to many S&P 500 companies for several years. Impact investing and sustainability are core fundamentals of Investindustrial, one of Europe’s leading investment firms, and have been practiced since its foundation in 1990. Dr. Younes used the portfolio company Kiko, a toy manufacturer, to show the successful implementation of Investindutrials three-year sustainability plan in which the production of plastic toys was drastically reduced by introducing a platform for the trade of reuse and refurbishment of toys. Emerging markets: Where to from here? Murray Grant, former managing director at CDC Group, explained, through the example of Africa why private equity investors are still cautious about investing in emerging markets. The small size of the corporate pool, the very high depth of African countries, the weakness and inflation of the currencies as well as the complexity of the governance are, amongst others, challenges that can put the returns of an investment fund at risk, even despite a stellar performance by the general partner. In order to overcome the challenges and spur development, a stronger engagement in Africa’s private equity sector is inevitable. Theresa Condor is the executive vice president of Spire Global Inc., a satellite data and analytics company that uses more than 70 nanosatellites to collect data about Earth in areas where ground-based receivers cannot reach (e.g. over oceans, in undeveloped countries, etc). To ensure the most accurate results, the software is constantly updated while the satellites are still in orbit. With the collected data and analytics Spire aims to double the global GDP by providing improved climate and weather measurements that ultimately can be used for better predictions and decision making. Spire’s three active and interdependent businesses are maritime, aviation and weather data. Joining Theresa on stage were the firms’ investors Gareth Keane (Promus Ventures), Jérôme Wittamer (Expon Capital) and Mathias Link (Luxembourg Space Agency). Gareth Keane explained that it is more important to understand the value chain rather than it being necessary to have extensive experience in Space in order to invest. Jerome Wittamer added that once the cost-intensive satellite infrastructure is set-up, higher margins can be generated. 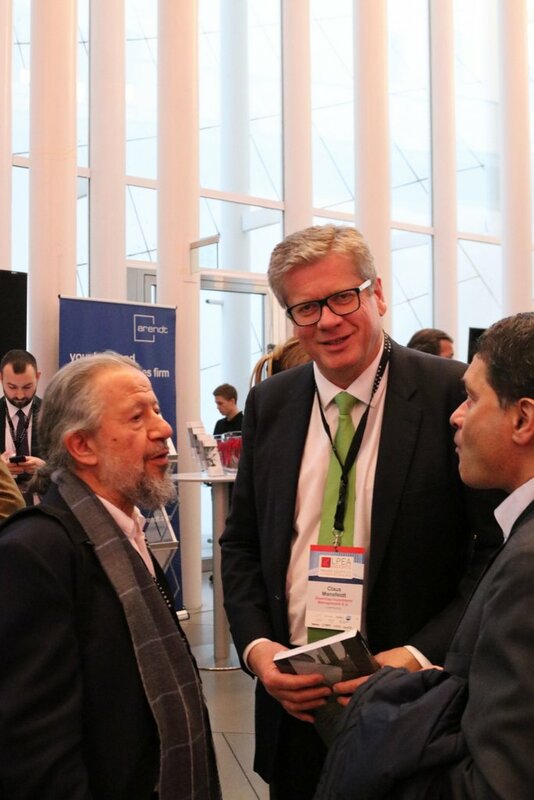 Mathias Link explained that the agency aims to create a new space economy in Luxembourg and attract space companies by establishing the necessary aspects such as R&D, legal and regulatory framework, education and financing. The number of space companies in Luxembourg increased in the last three years by 60%. Roy Awad, Investment Director at Permira Debt Managers, presented in his case study the concept of private debt, which has gained more popularity in recent years and is now part of the investment strategy of many professional investors, such as Deka and Permira. Besides the synergies in terms of deal sourcing and in-house expertise, private debt also offers lower risks and shorter repayment periods. Roy Awad furthermore mentioned the case studies of “atHome.lu” and “Duomed” as examples for private debt investing. 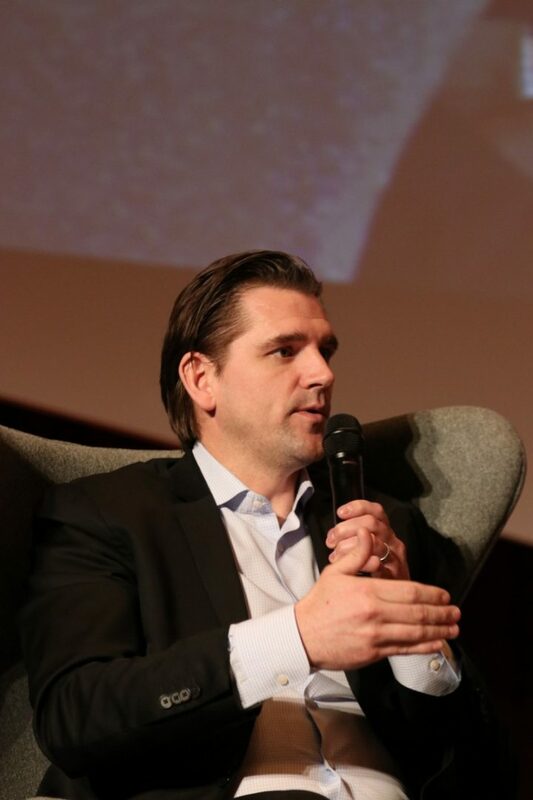 Claus Mansfeldt, managing director at SwanCap Investment Management and moderator of the panel discussion, invited the panellists to introduce themselves and illustrate the trends and challenges in terms of innovation. Larry Aschebrook is the founder and managing partner of G Squared, a mid-to-late stage venture capital firm with a focus on tech-companies that are aiming to disrupt status quo. With a growth of 12% MoM, Lyft is only one of the many famous disrupting examples in G squared’s portfolio, as it substantially shaped today’s transportation and consumer behaviour. GHO Capital is an investment adviser that specialises in the global healthcare sector. Andrea Ponti, founder and executive partner of GHO, explained that implementing disruptive technologies and products in healthcare is challenging, since proven practices are usually preferred for patient treatment. Nevertheless, innovations can disrupt the healthcare sector substantially, as, for example, the genomics revolution allowed multiple data targeted therapies for the treatment of cancer. Lindsey McMurray, managing director at Pollen Street Capital agrees that the change in consumer behaviour demanding higher standards, the technological innovation towards big data as well as the constant adaptations of the regulatory framework, have spurred competition. Though this led to a substantial fragmentation of diverse businesses the challenges each of the businesses are facing are very similar. Ardian is a private investment manager and the world’s biggest player in secondary Fund of Funds. The CEO, Dominique Gaillard, clarified that Ardian is not specialized in every different business it invests in. Moreover it teams up with external advisers and experts who evaluate each potential portfolio company prior to the investment. In terms of valuations, Larry Aschebrook stressed that due to today’s endless access to capital, growth is very often chosen over profitability in order to measure value. Dominique Gaillard confirmed that today’s valuations are higher in every asset class and that the application of milestones is also a common tool used to determine the portfolio’s value. In a fireside chat with Rajaa Mekouar Schneider, Norbert Becker expressed his admiration for the achievements of the LPEA that built a remarkable community with high profile international members. 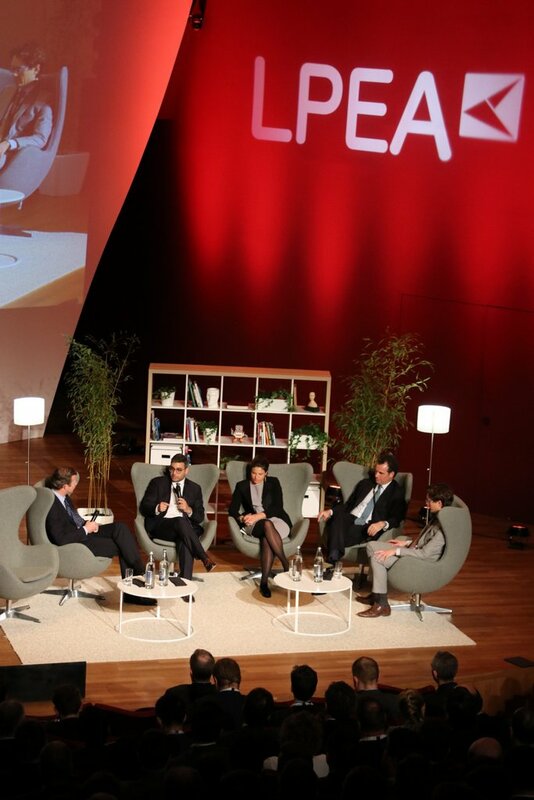 By connecting not only investors but also lawyers, financial service providers and many other industry players, the LPEA has left its footprint on Luxembourg’s legislation and built a strong partnership with the government. After his return to Luxembourg in 2004, Norbert Becker founded the tax advisory firm Atoz and later a private bank (CBP) which merged with the international group Quilvest to become CBP Quilvest. During that time he also invested in several venture and real estate projects and founded his own family office. He considers Luxembourg to be an ideal location for future businesses as its people are open-minded, accessible and willing to help. As regards to his success as an investor, he revealed that he applies three major checkpoints in his decision: (1) understanding the industry and technology; (2) understanding the geography and the market the company operates in (stability, governance, politics, etc. ); and (3) the team must be trustworthy and convincing. While he would describe European venture capital, impact investing, private equity funds, women in private equity, the Euro and even the UK (despite Brexit) as long-term positions, he remains cautious in regards to digitalization, since it may have become a buzzword, however the outcomes in terms of success varied immensely. Pierre Gramegna, Luxembourg’s minister of finance, closed the conference by highlighting that the latest Triple A rating proved that Luxembourg provided political stability going along with social stability. Though a global growth of 2% was recorded in the last year, Luxembourg had a 3.5% growth in the last 3-4 years further proving that the economy, and its finance sector in specific, was doing well. In terms of development, the government has also issued a new programme, introducing a new tax rate for corporations that decreased from 18% to 17% in 2019. Further goals are to redesign the expatriate regime as well as making private equity investing for individuals more attractive by providing special tax incentives. The two major challenges and at the same time opportunities he sees for the future are green/sustainable finance and digitalization/fintech. Finally, he encouraged the participants to work together on the sustainable roadmap envisaged by the government. The conference concluded with a networking cocktail in the Philharmonie with music by a live DJ. Panel: Paradigm shift towards sustainability; The new new norm?